All new layout For version II. Five races, 87 towers, 30 game levels. New special game levels with immunities and abilities. Players are on teams of two. Build towers to strike down creeps. Go fishing and evade the gauntlet. Race your friends and taunt your oponents with new audio taunts. A cleaned up version for official release. Fixed a major bug where players could cheat, and creeps would never go home. Some miscellanous bug fixes and some formality in wording. • Adjusted a couple towers and games. Note: Creeps do attack when blocked or jammed. Odds are you won't lose a tower. The reason before was due to a bad condition, the creeps never stopped attacking. This is exclusive to 2.3 and is now fixed. Enjoy. • You can now build with your partner in the center, but ground creeps in the center gain more armor. • All new tooltips for every tower. • Slightly smaller file size. • Better timer functions and game logic. • Coin bash is team orientated. • Easter egg game improved. • Battle game totally revamped and is team orientated. • More life for towers. Double for ultimate towers. • Improved and new tower abilities for higher end towers. • Water gained a wave tower. Fire's wave tower improved. • Towers heal every round. • Many small balance changes. • Creep attack controls have been improved, so less towers will die. • Towers heal at the end of every round. 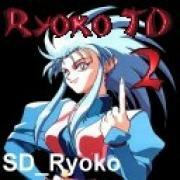 • Ryoko doesn't dissapear anymore. • Player towers STAY till round end when they leave, so you don't get sacked. • Special abilities for towers (non passive) do much more damage. • Purchase life cooldown fixed. Life cost is now 40, not 75. • Lottery ticket cooldown increased. Buying more than 1 a round does nothing. • Tower power adds MORE damage, adding 10 each instead of 6. • Waters Elemental (wave tower) increased damage. • Deaths Black Scorpion (and level 1 tower) are now CHAOS. • Rock thrower for fire changed to AXE thrower (greatly reduces graphics lag). • AOE for all splash towers increased. • Platform Peril has all new terrain! • Beacons have changed for schooner race. Should be more clear. • Crazy Hunters fixed, so they do not autotarget. • Reward for sea monster is now correct. • Pathing blockers for Road Race adjusted. • Rabbit Basher always shows up now. 7 peice coins have been added too! • More time for Coin Bash, and auto selects unit now. • Aliens game adjusted for balance. • Shooting Gallery (coins) has been fixed. Back row doesn't jam up. Several tooltips, typos, hotkeys, TD engine bugs and descriptions were fixed. Hi how you doit to spaw creeps 1 in 1? Now I'm not good at TD's, but I think it's awesome! I mean, the custom stuff, it's like Captain MacMillan! Have you noticed that Forest Spider of Earth is overpowered. I did nothing but massed it and I didn't leak a single mob during the game. Not even a Bonus Mob! It was really lame. Still it's a great game and i've played it a lot. Earth is the best race I think. lol DirtyJobs has no life. I just figured out that the character in the picture is Ryoko from Tenchi. DirtyJobs, as I am writing this, there are 24,170 downloads of this map. By now, there are probably MORE. Tell me again that no one plays this map. I very-much like this TD. It implements fun, balanced mini-games without confusing players. Also has nice terrain for a TD. But unfortunately it is ruined by the pathing bugs. - Later Levels (seemingly random) mess up pathing. This has happened to me on about 3 times out of the 10+ times I've hosted. Not enough to be disastrous, but certainly ruins the game if it happens. To be more specific, they would walk to the first waypoint, then turn around and walk to where they spawned. After they reach their spawn point, they stop for the rest of the game. - Lastly, if a creep touches the second waypoint before the first waypoint, it walks towards the end. In the early stages of a hook maze (at least the way some do it), the creeps hit the second waypoint while on their way to the first one, so this is a pretty important issue. very nice map,a little in the style of Mario. Lots of custom models, lots of little fun elements, and nice smooth terrain. Those, minigames. I love 'em. I'm not sure if it was from you but I heard you were going to make a mini-game map, but you didn't because Uther Party came out. Anyway, I still reckon you should make 1 cause those minigames are great. Anyway to the actual TD, it's a great TD because you can play with any amount of players, which is a high point for me (because I can't host). Thanks guys :) I always appreciate your support. At last, a TD that hasn't been hacked or copied off of Dixel's TD, Water TD, or any of those other cheap, inbalanced TD's! :D Good job! This is probably the best TD I have seen --- all the races are fun to play, the minigames give you something to do besides build towers and watch them blast creeps, and it is noob-friendly! 10/10! A very good TD, the minigames are very fun, the balanced is precise, and I see little to no bugs in it.